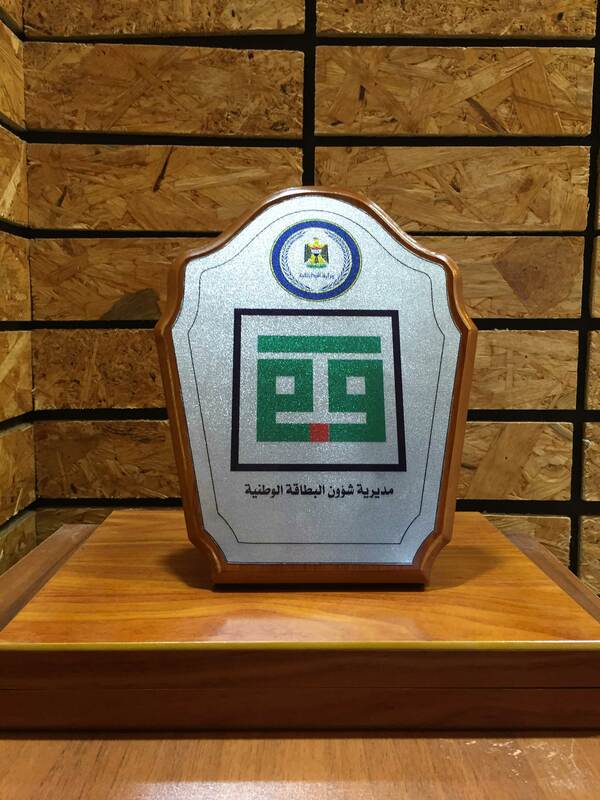 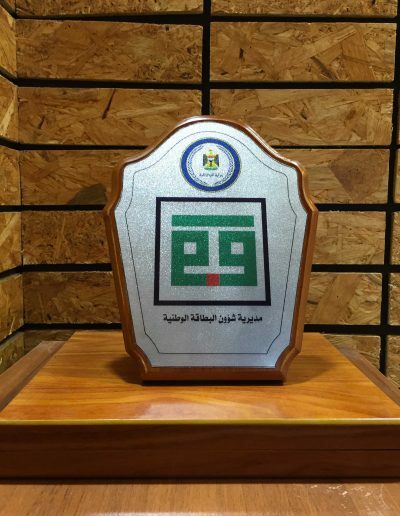 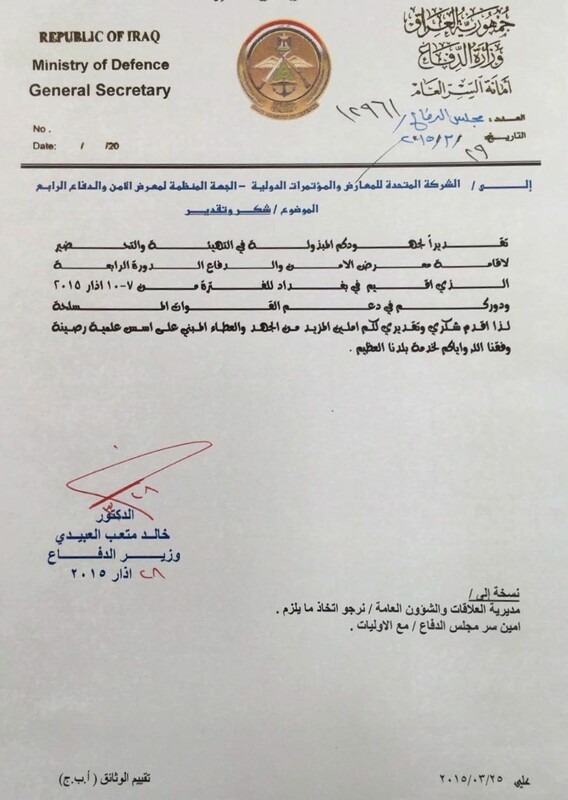 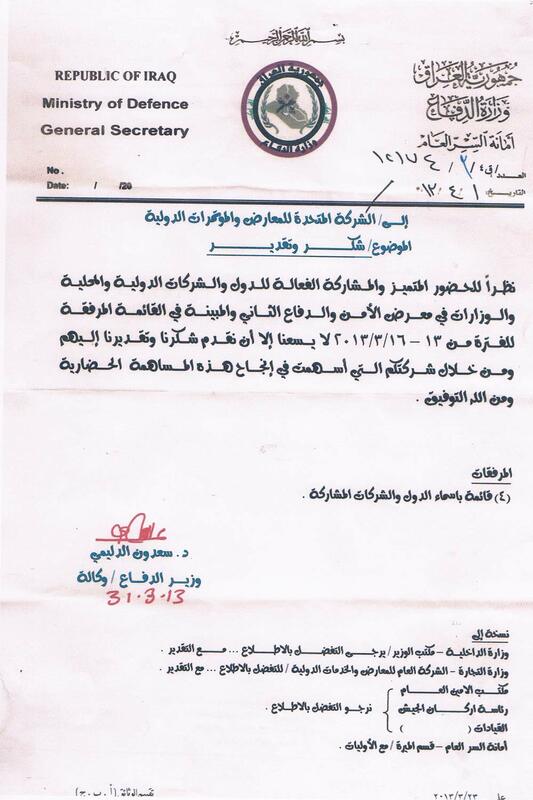 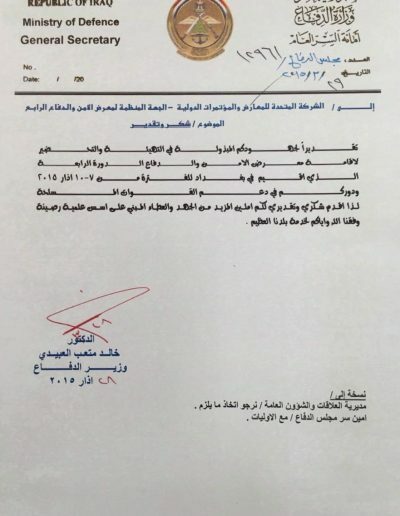 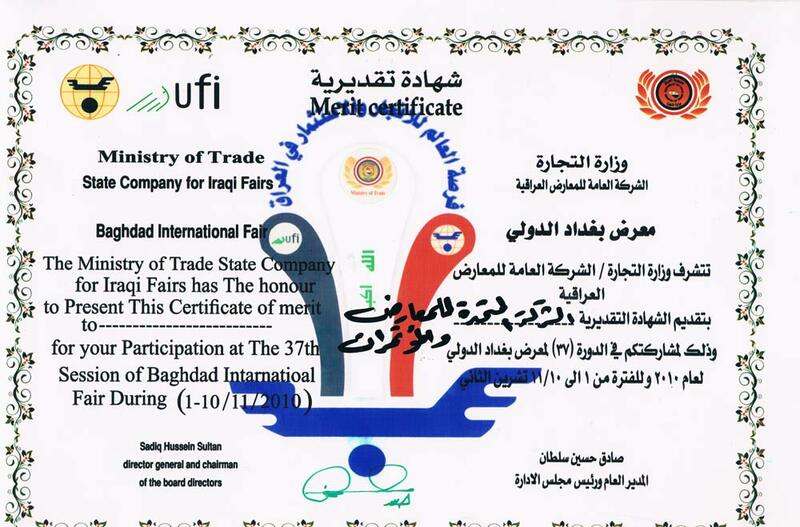 The United Company is an Iraqi company registered at the Ministry of Trade and a private company with limited responsibilities located in Baghdad. 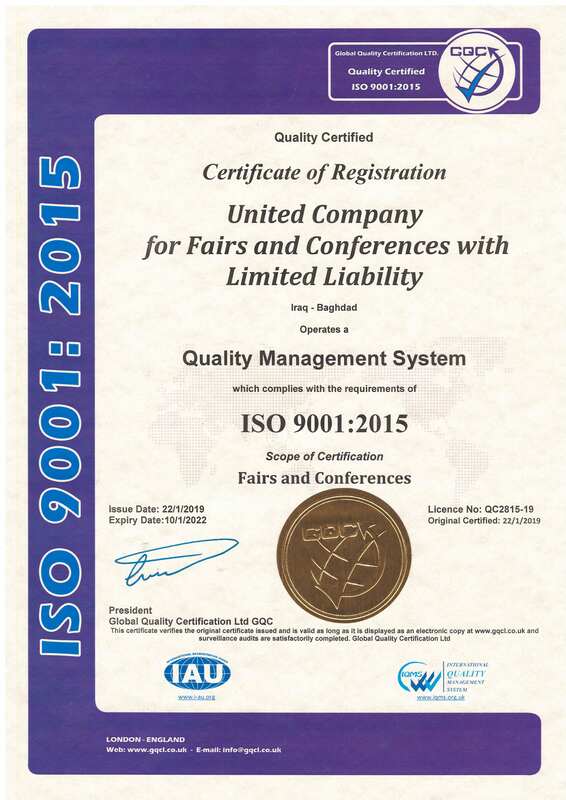 Our Company has obtained international certificates according to the requirements of the International Standard which are Quality Management System (ISO9001:2015) and Events Sustainability Management System (ISO20121:2012). 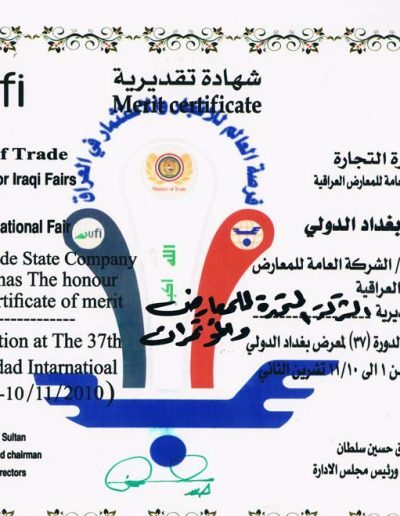 Contribute in building the national economy by holding fairs and conferences and inviting foreign companies to participate in. 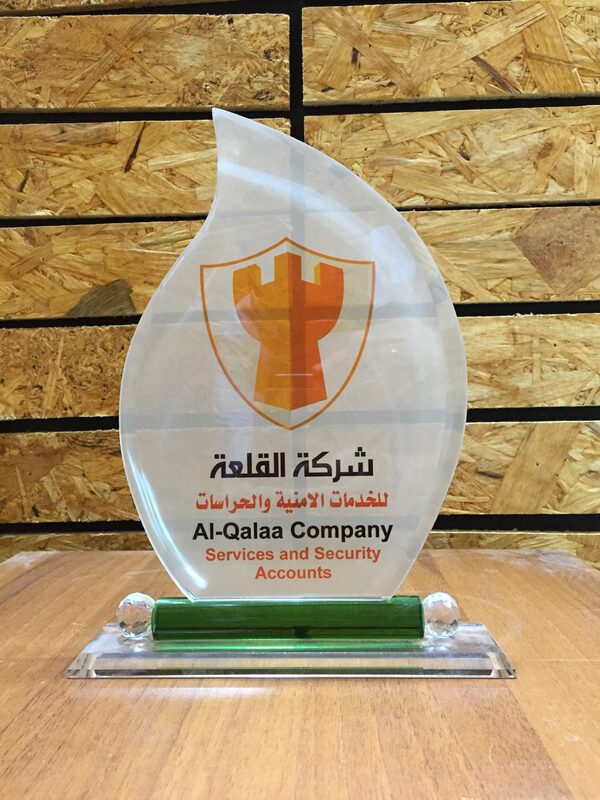 Present the researches and suggestions for the public and private sector within the specialty of our company. 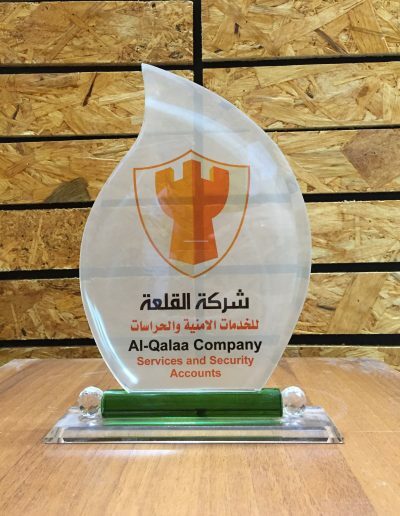 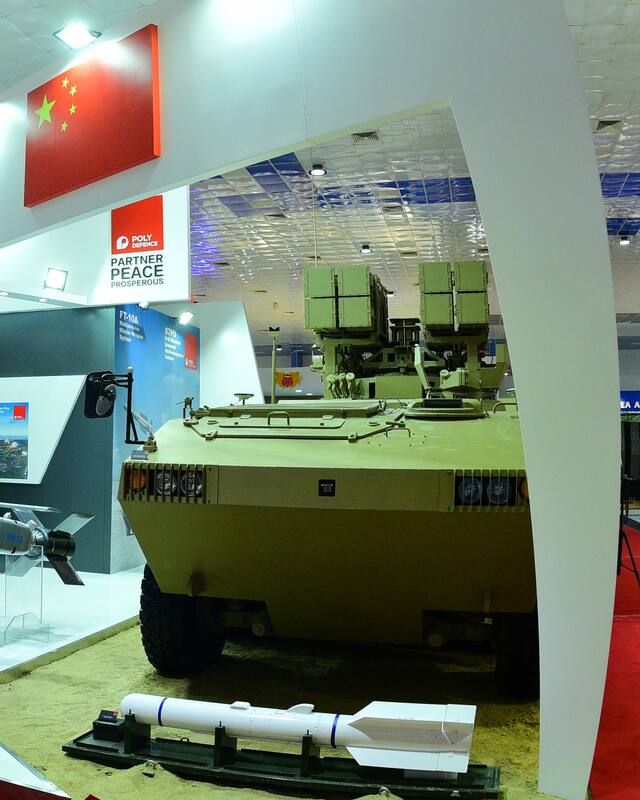 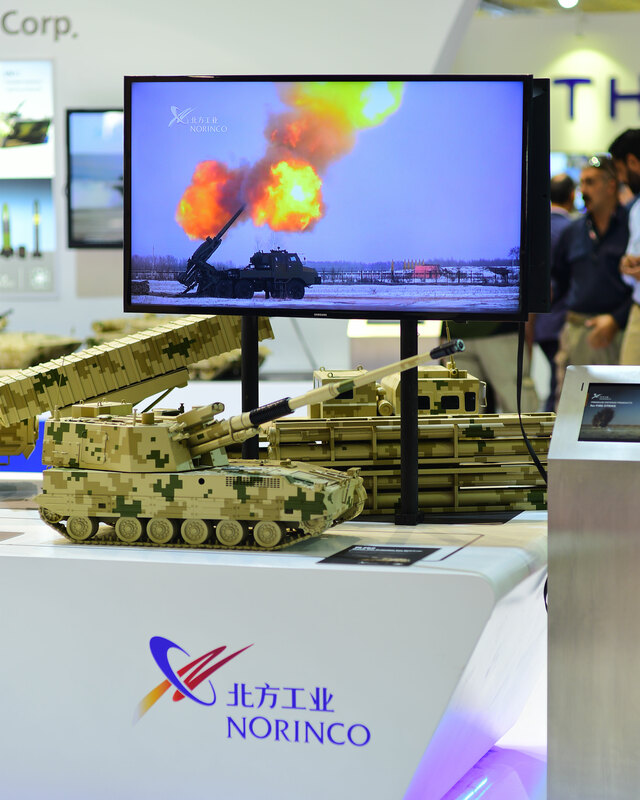 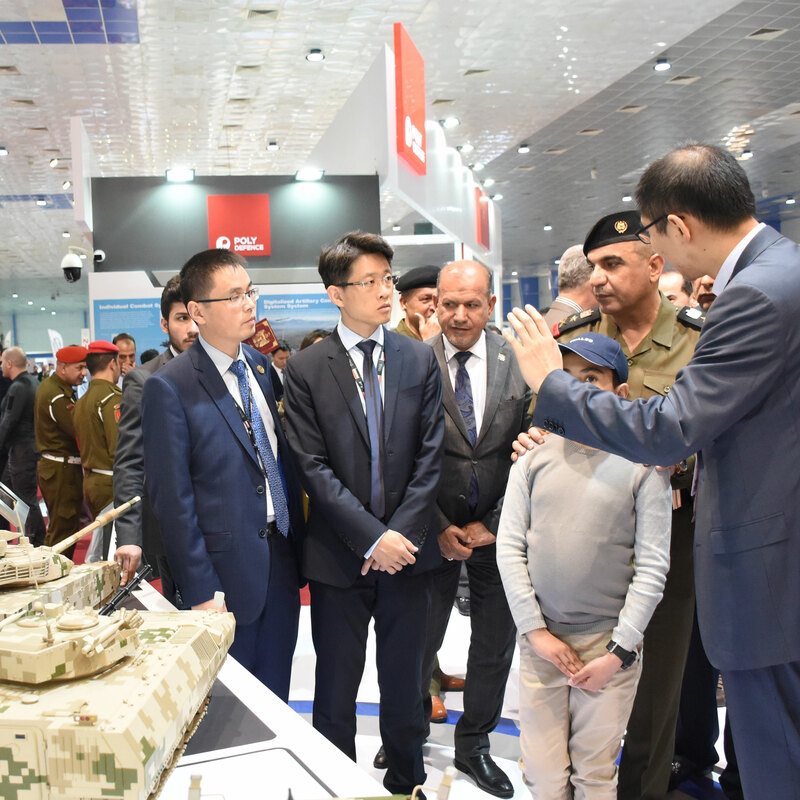 The company held seven consecutive and successful session that was aiming to attract the global technology, which would enhance the capabilities of our armed forces and its defensive equipment. Various kinds of communications, jamming, eavesdropping, and air and ground traffic control radars, and all kinds of Cameras to protect the cities and borders. 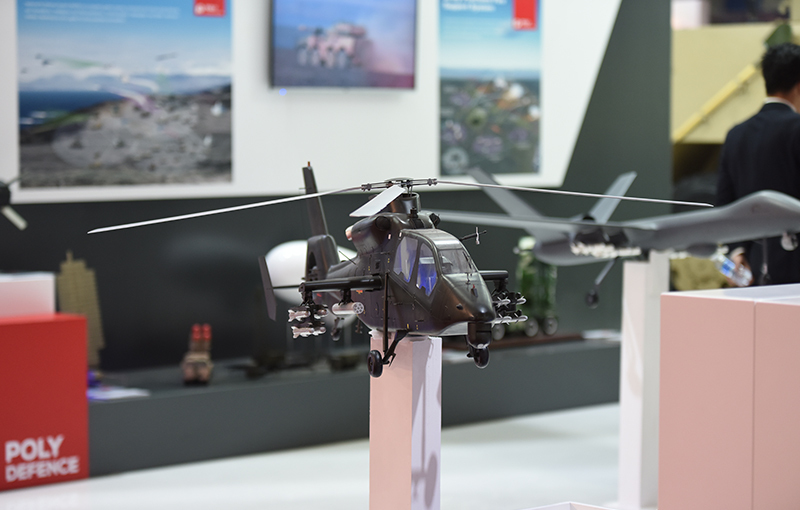 Various kinds of drones to track the enemy movement. 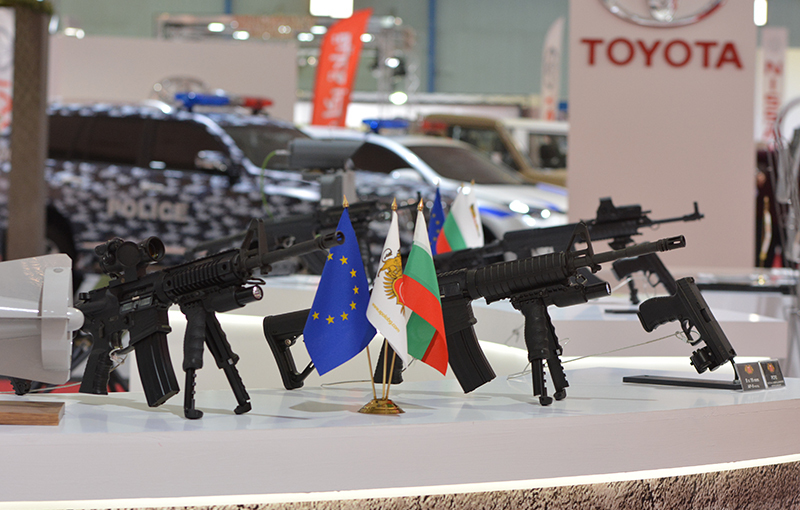 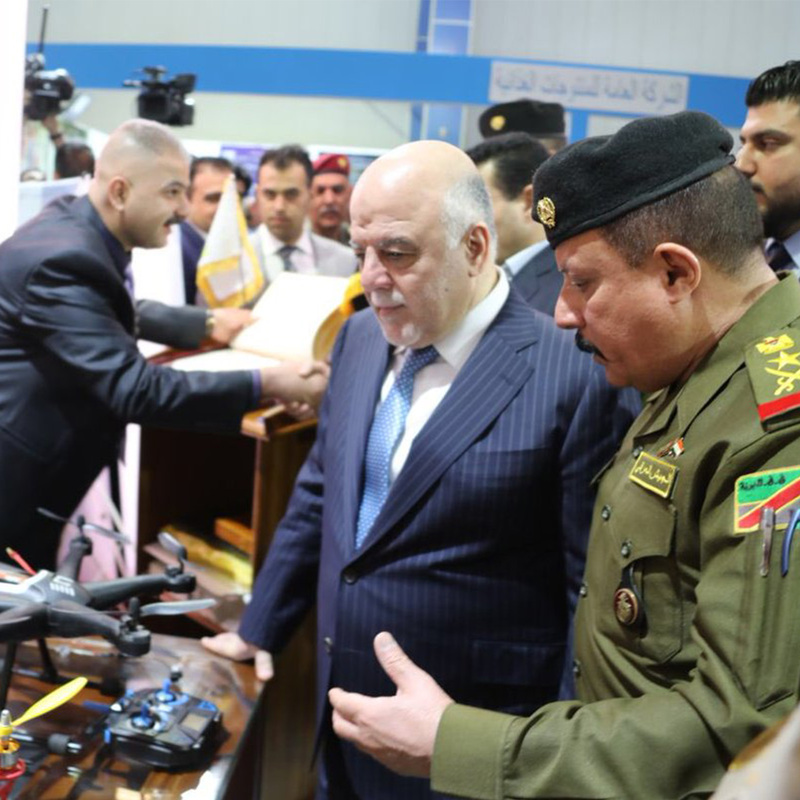 The United Company organized seven consecutive sessions of Iraq Defense Exhibition and all these sessions have witnessed wide participation from foreign companies, Embassies, local and governmental companies in order to meet the needs of the related Ministries with the equipment and weapons to enhance it defensive capabilities to face the challenges. 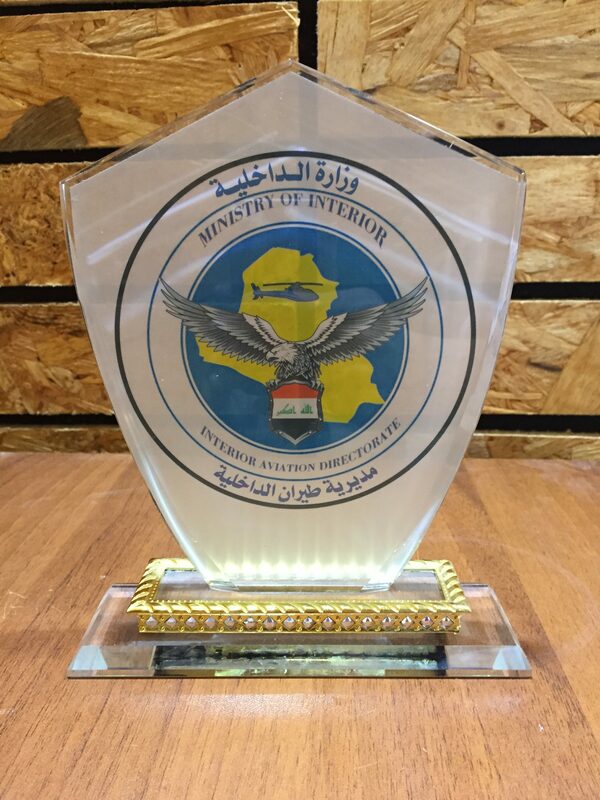 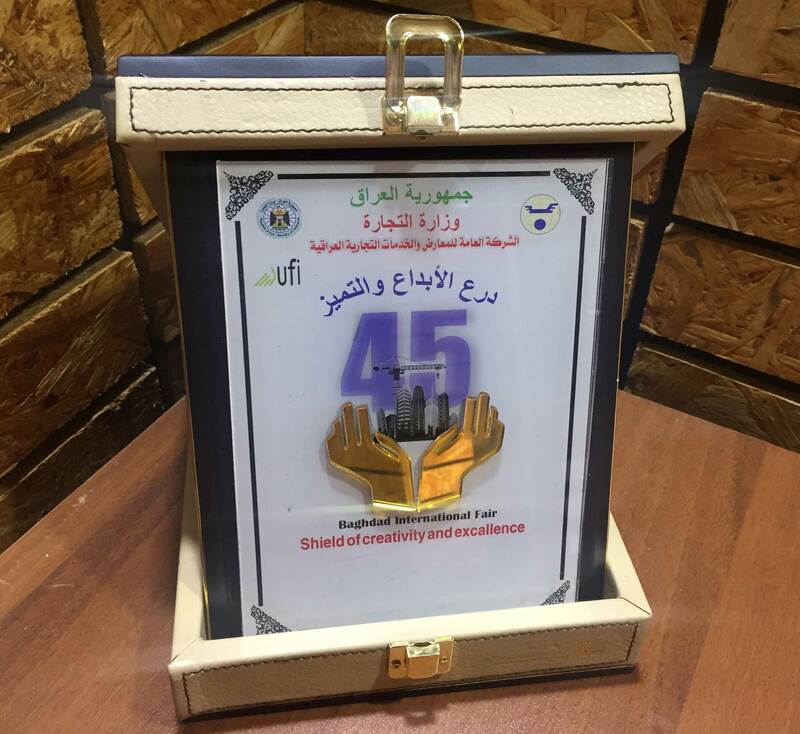 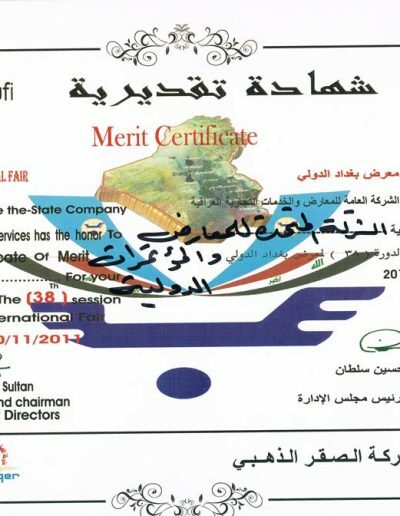 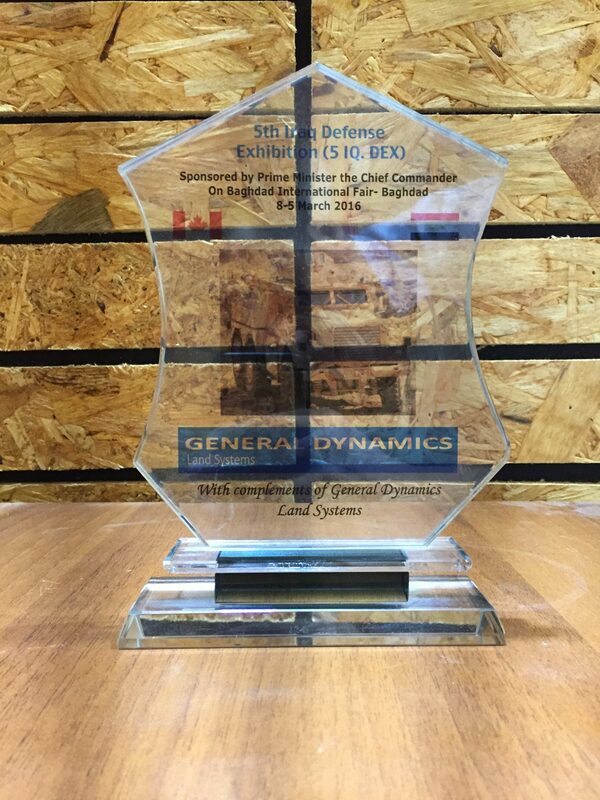 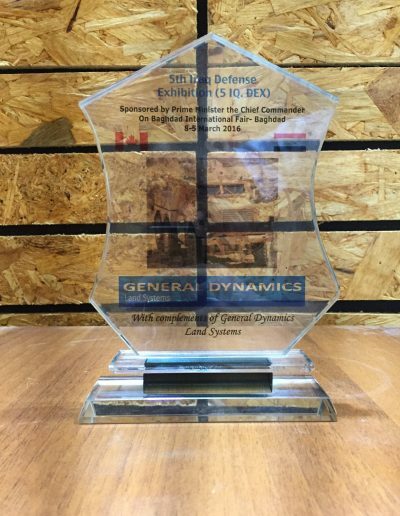 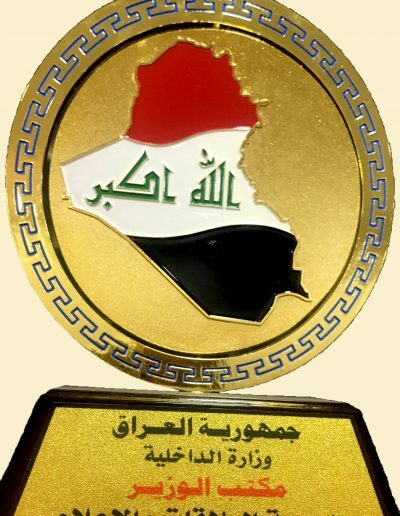 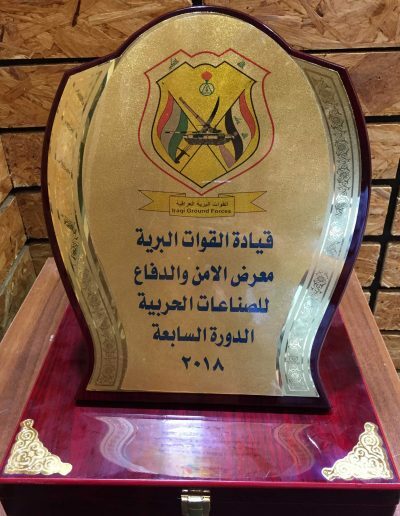 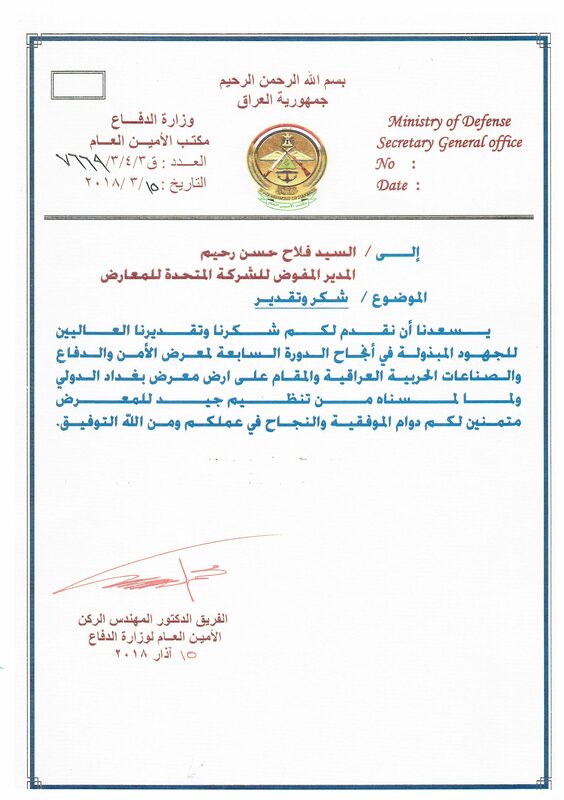 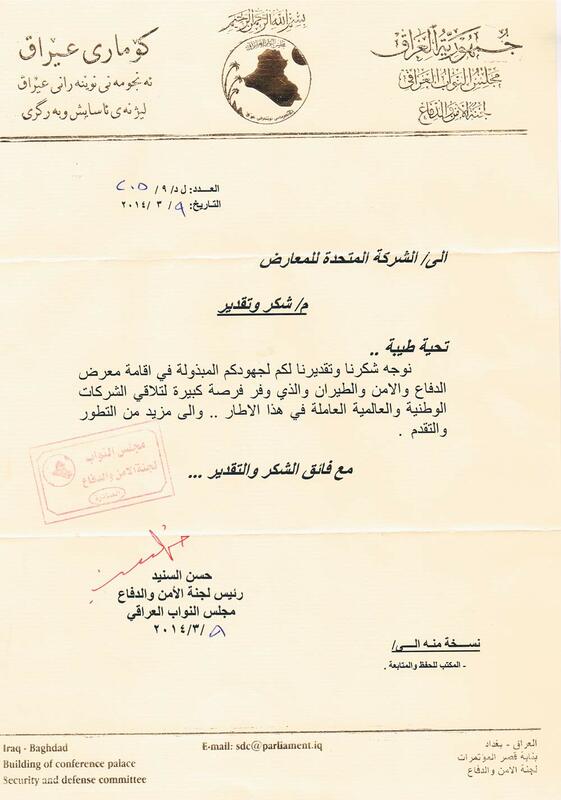 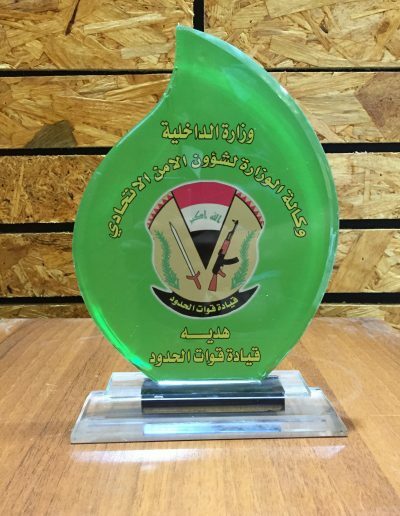 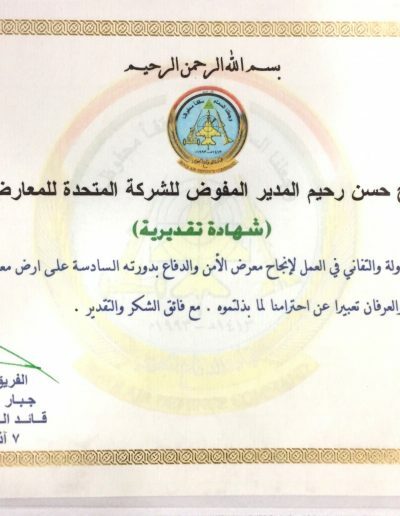 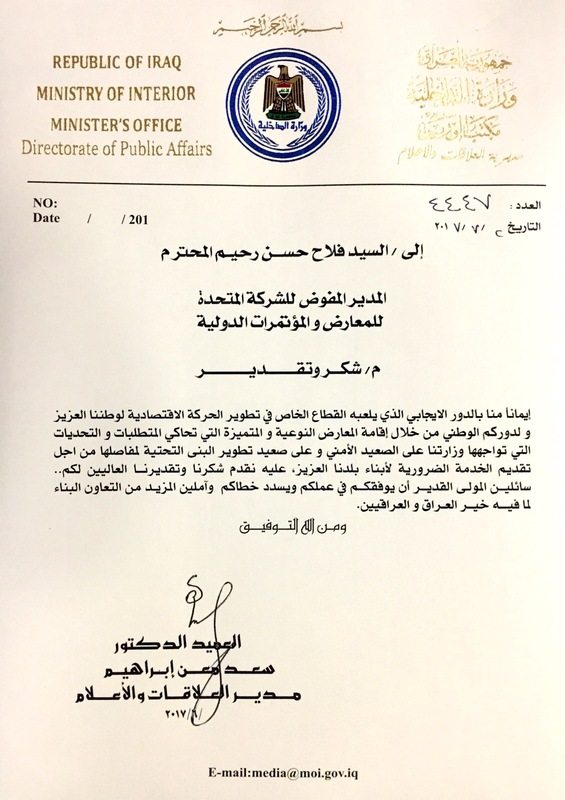 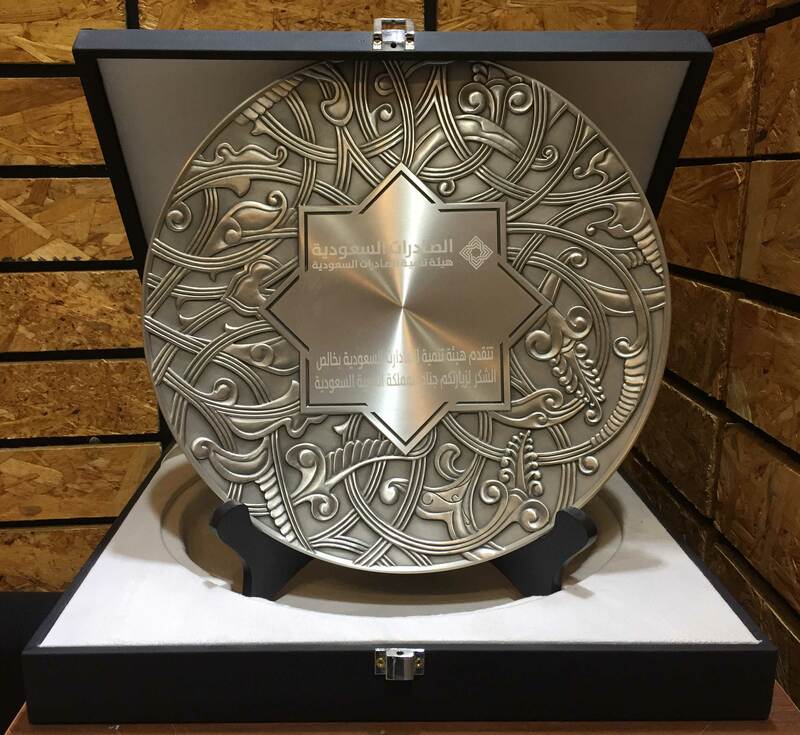 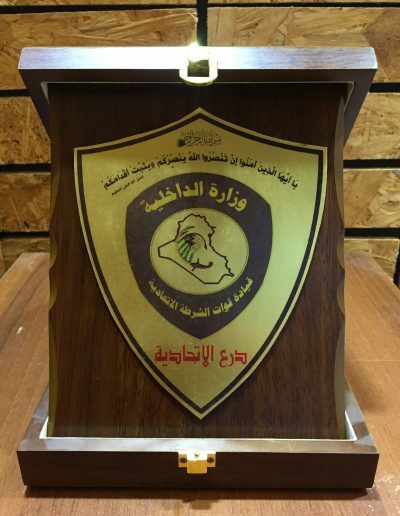 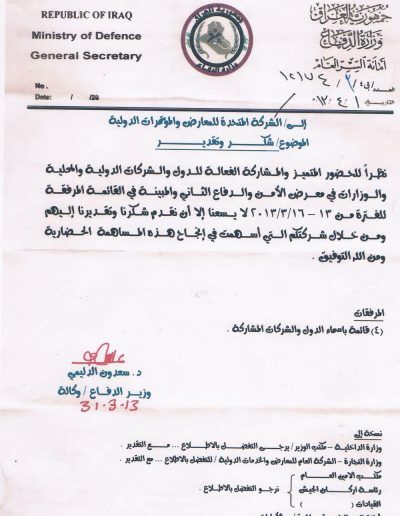 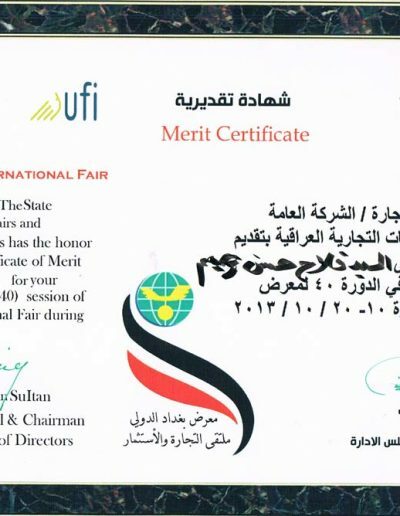 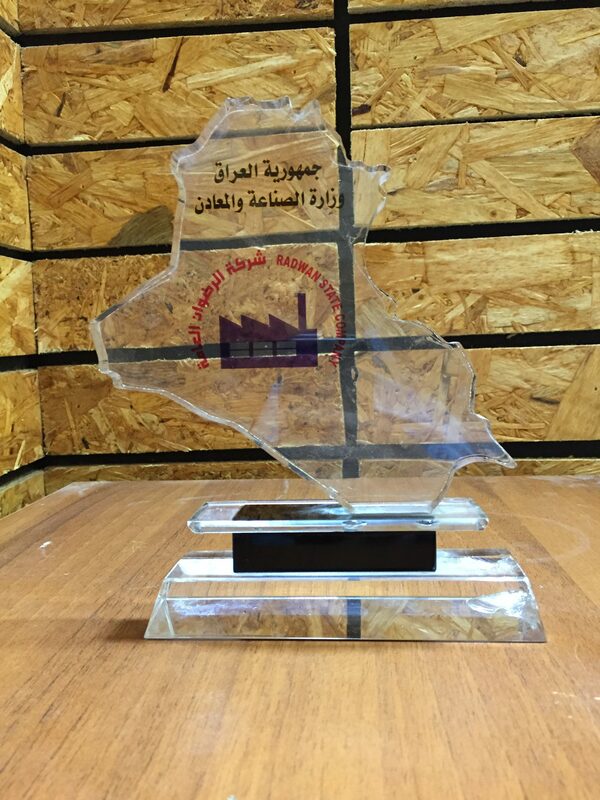 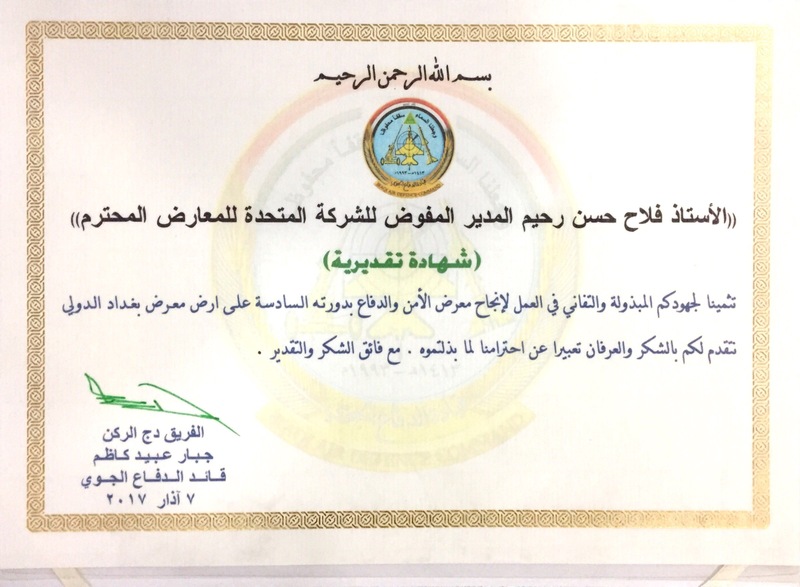 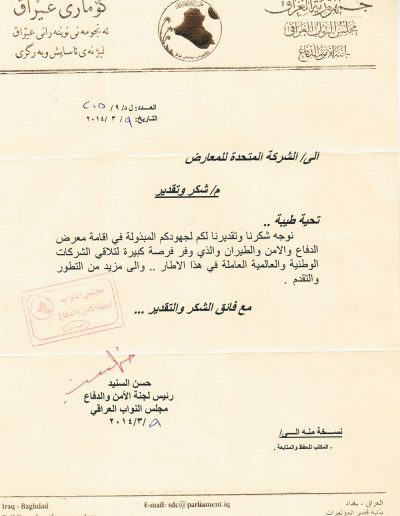 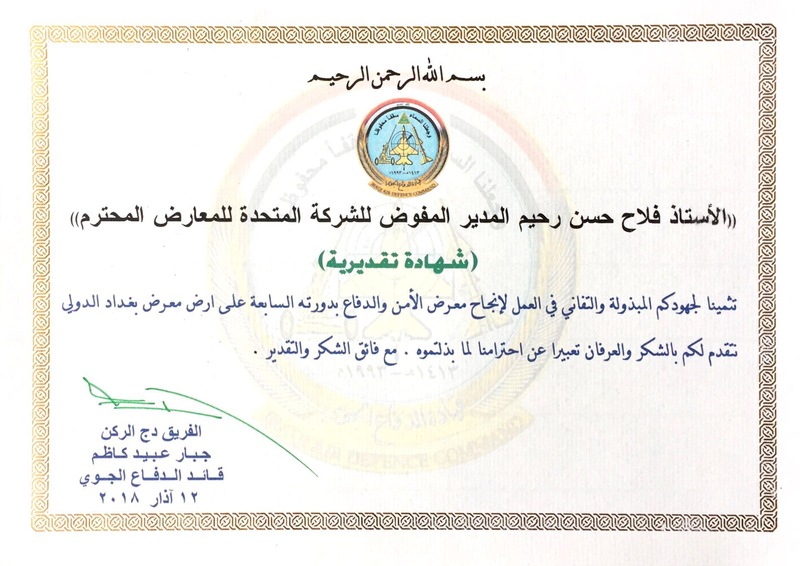 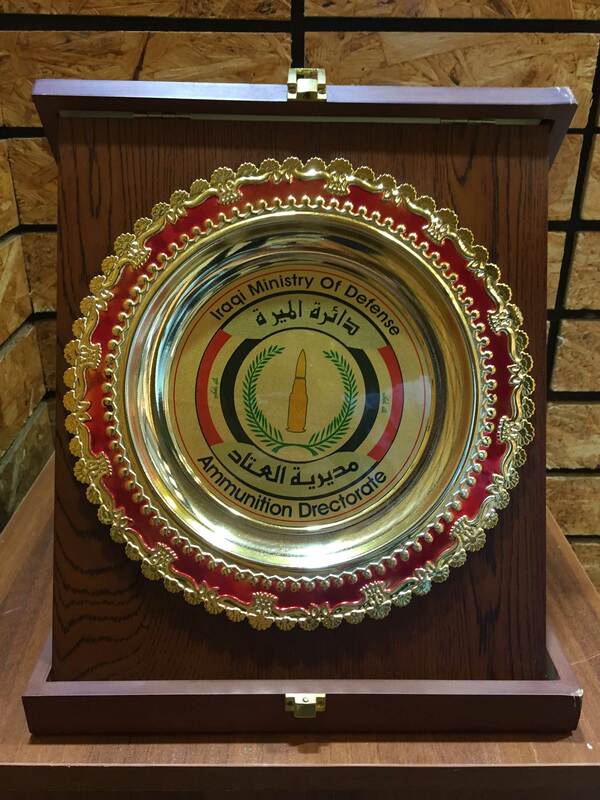 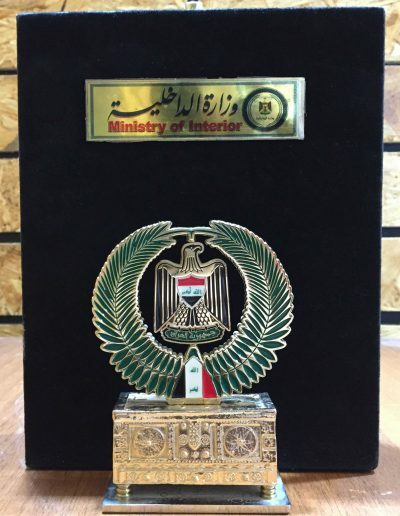 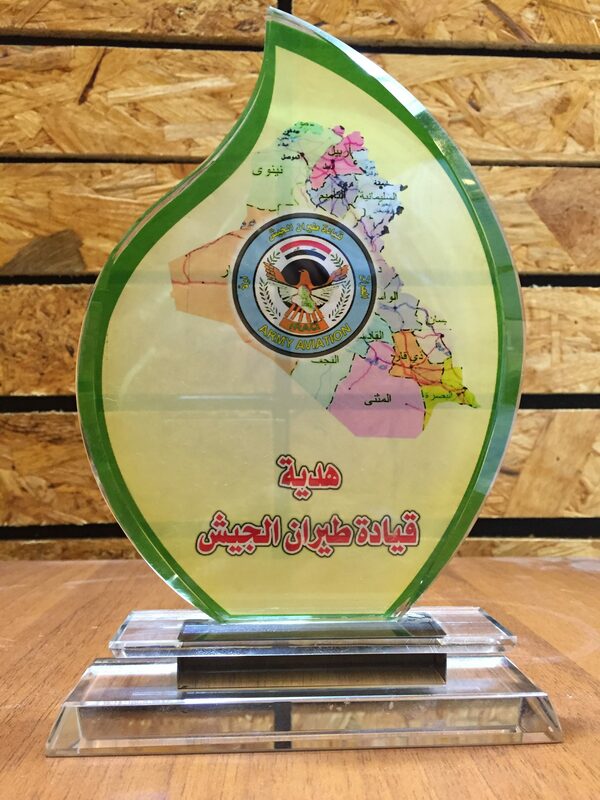 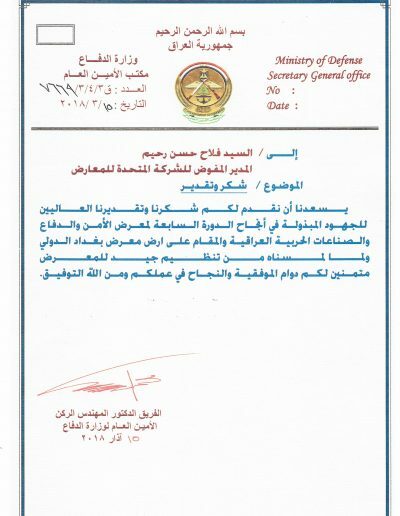 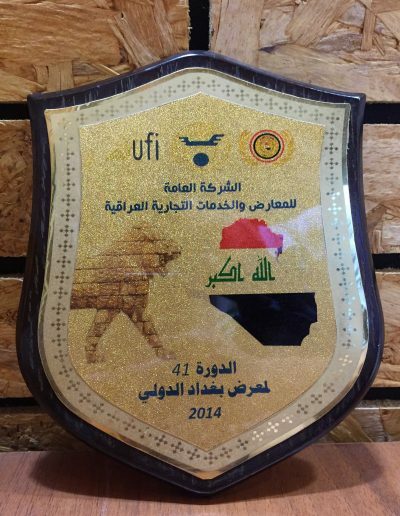 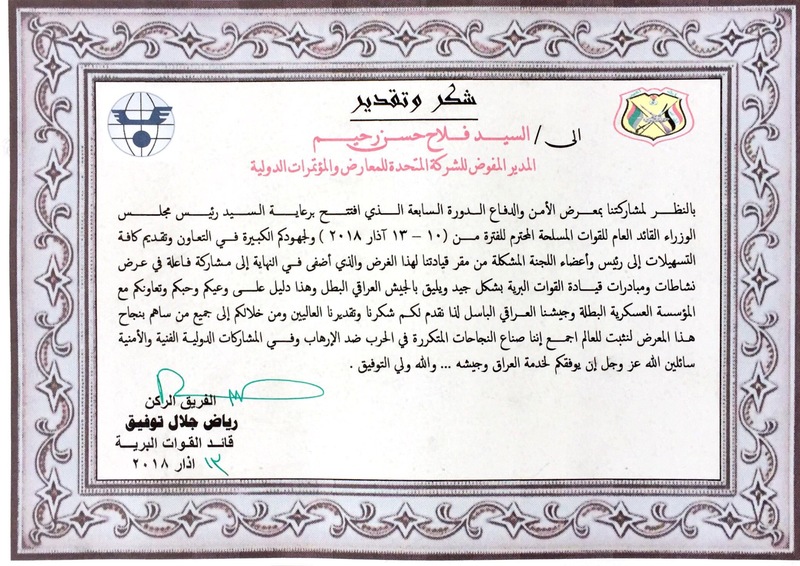 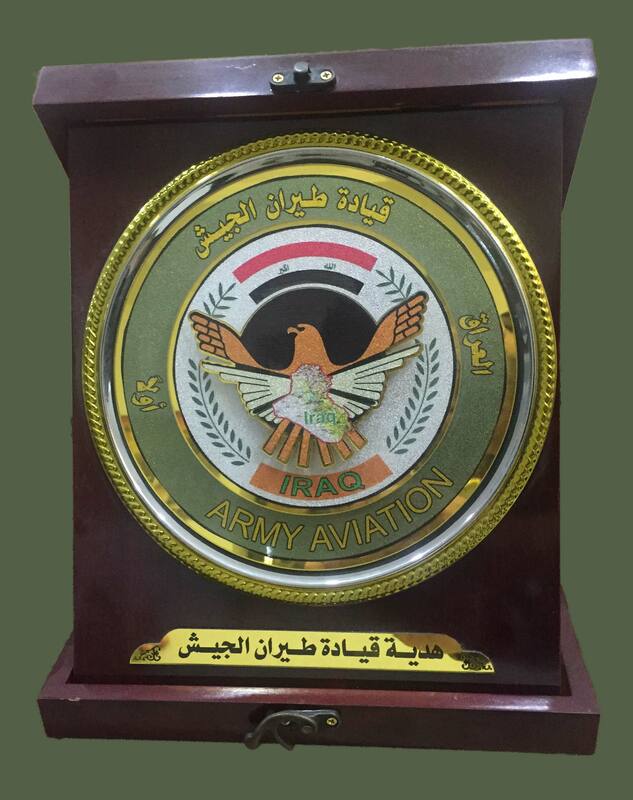 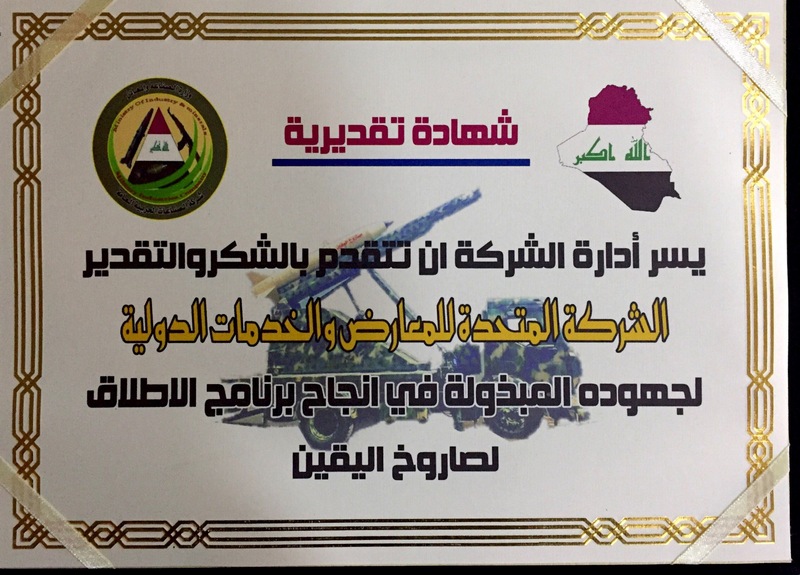 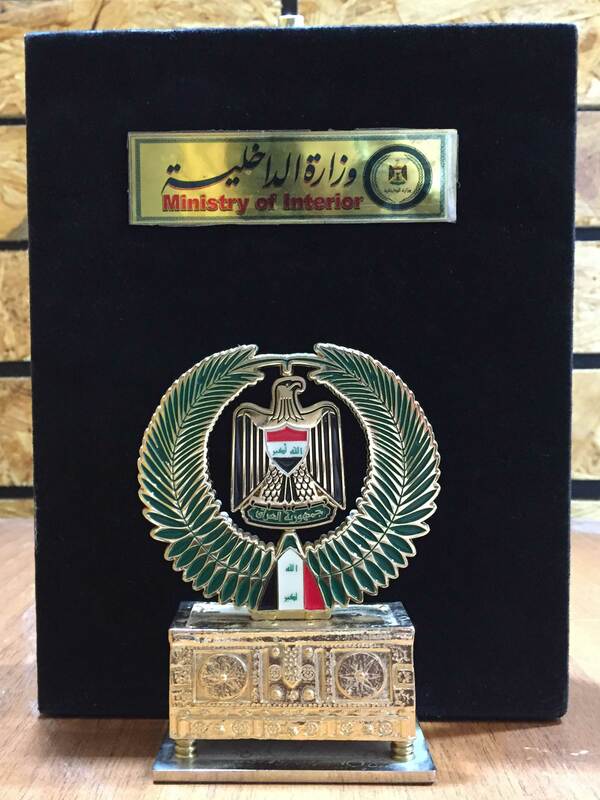 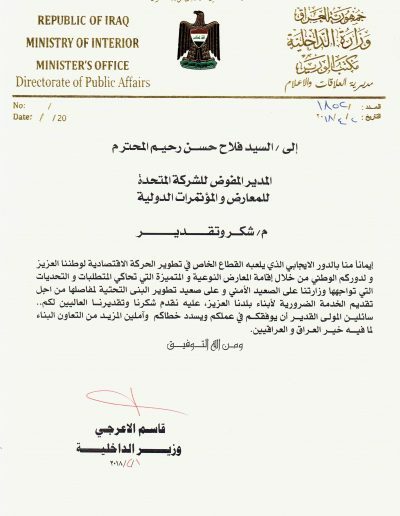 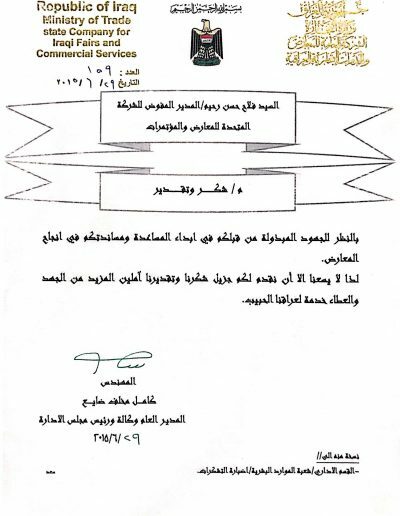 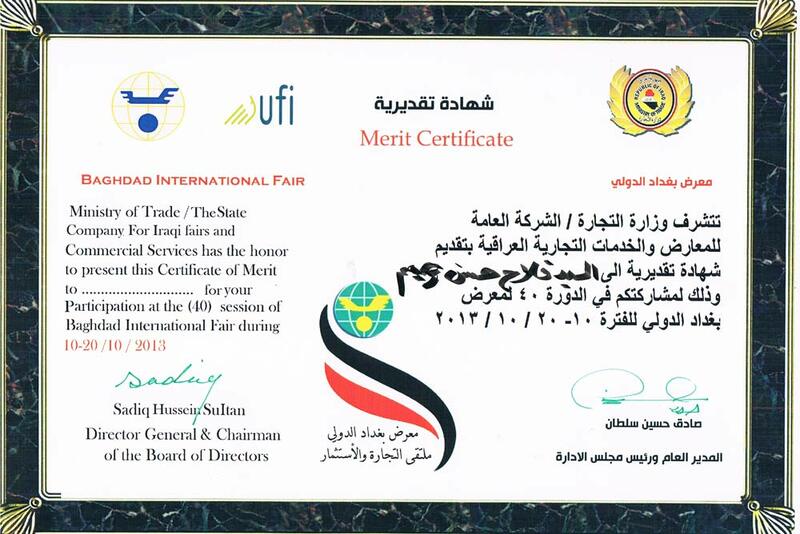 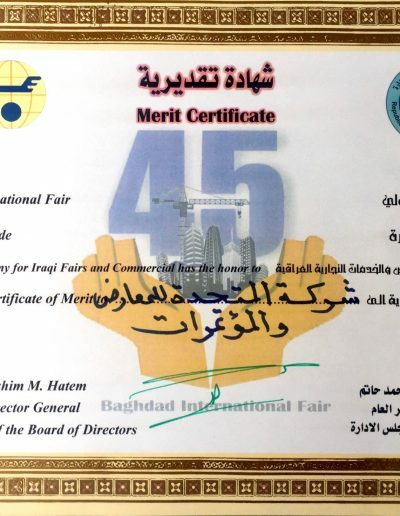 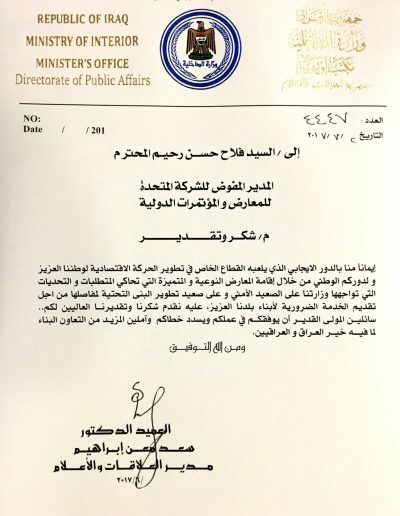 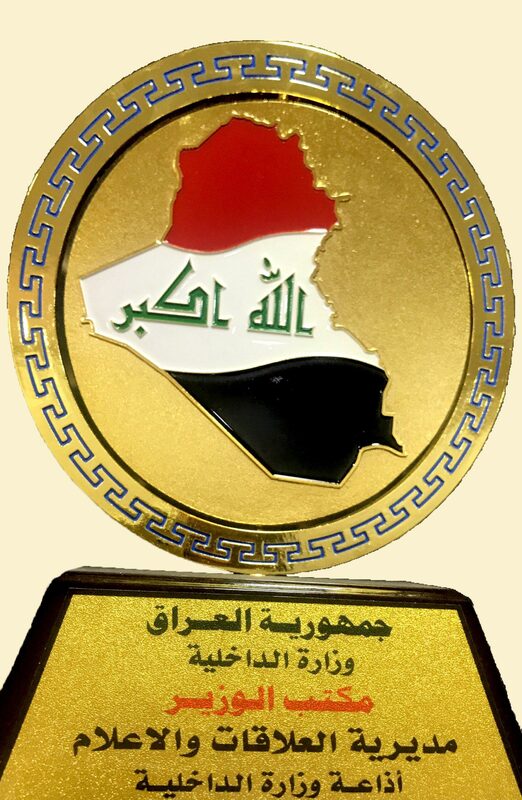 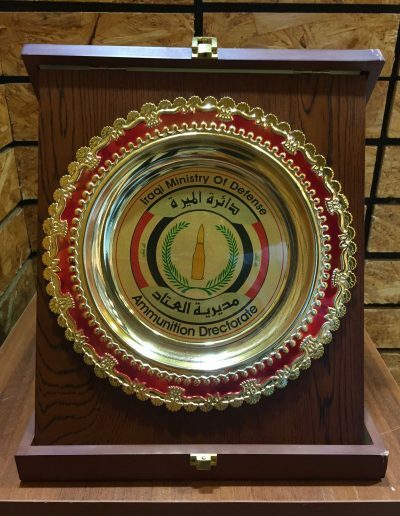 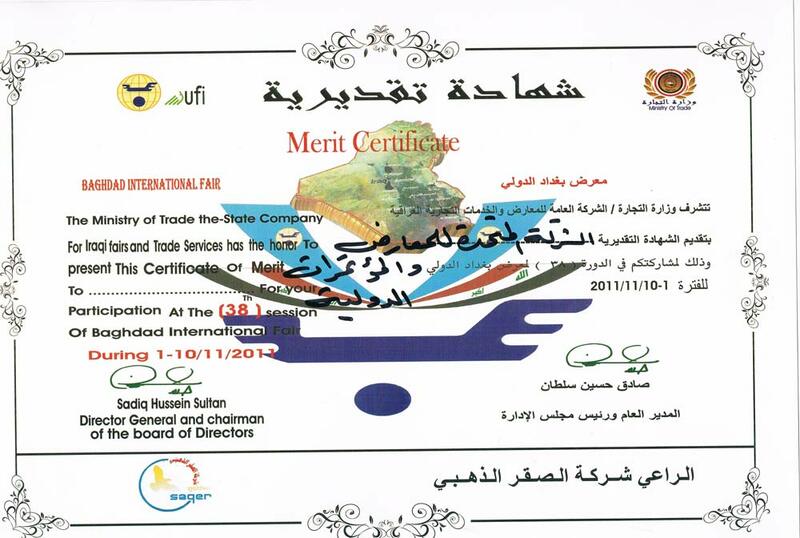 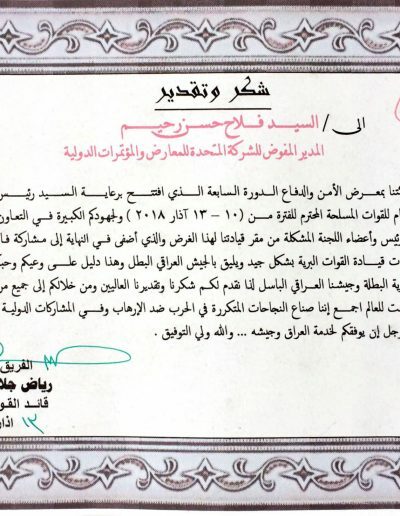 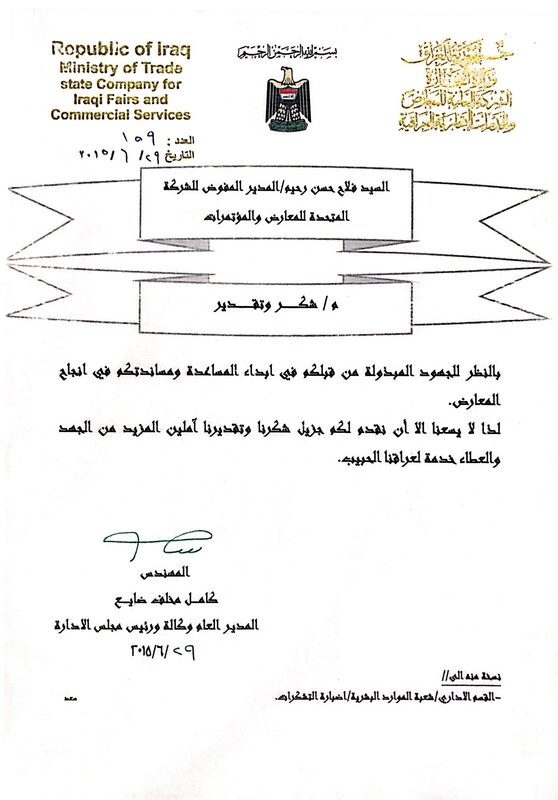 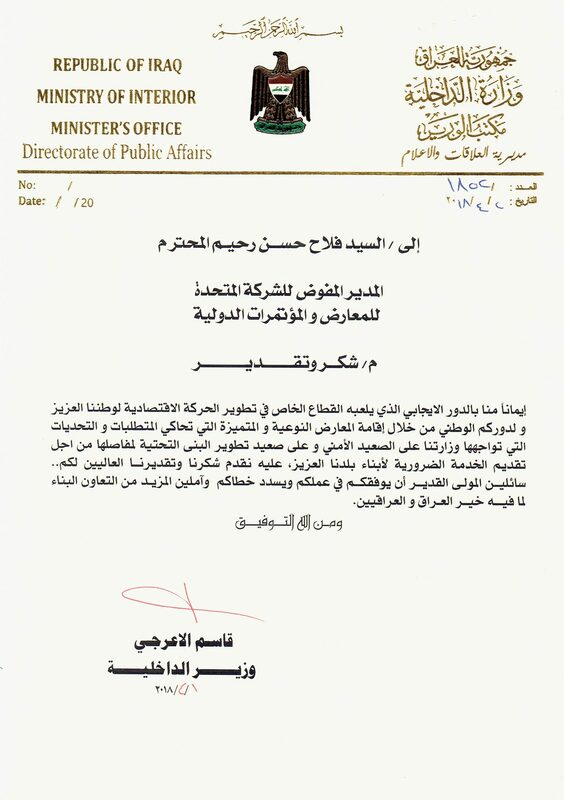 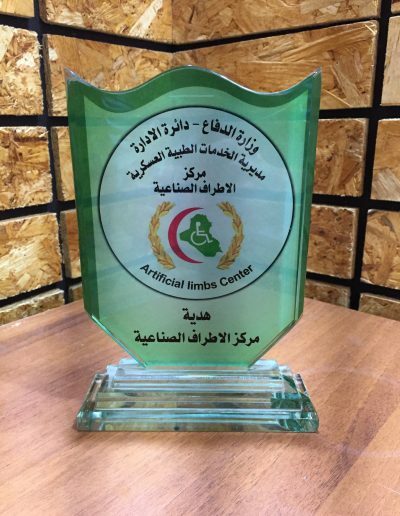 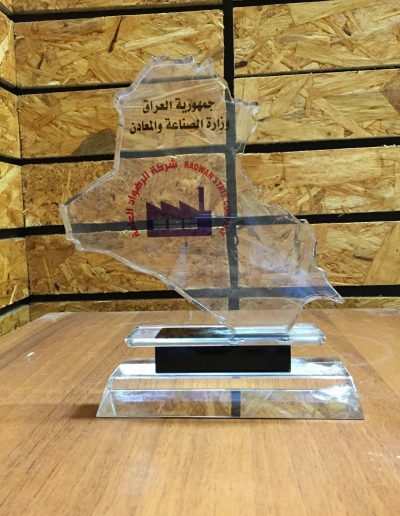 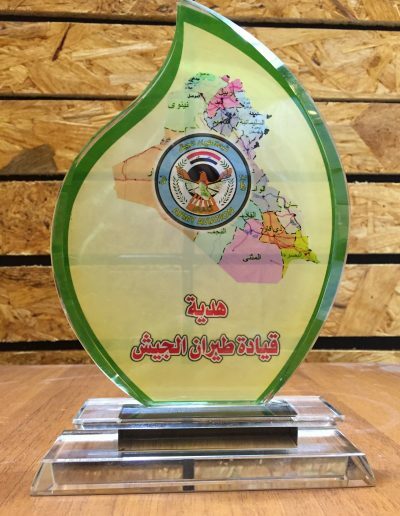 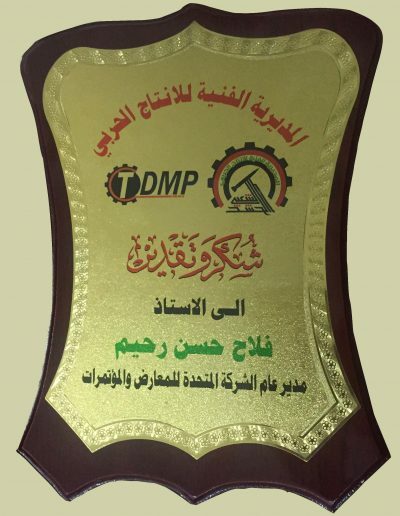 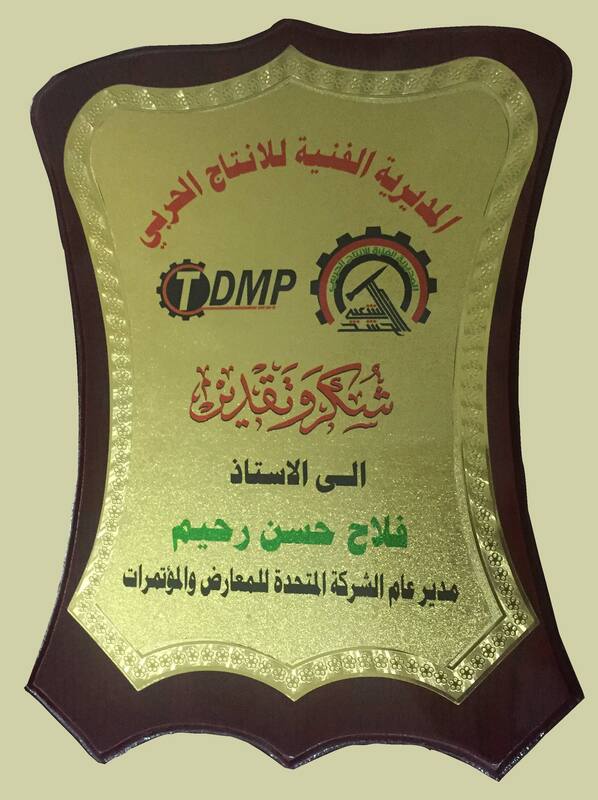 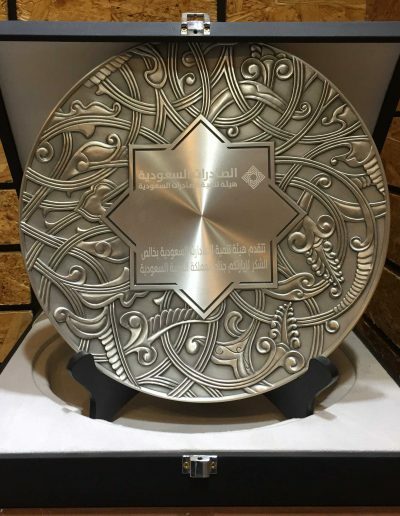 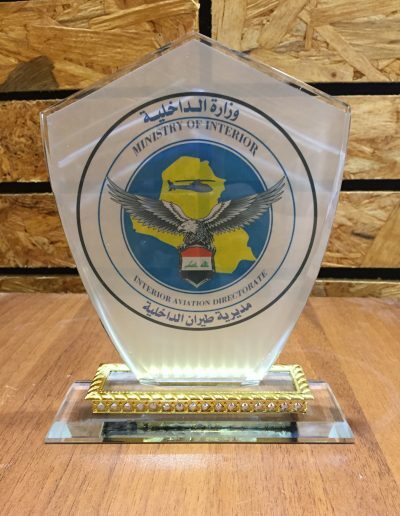 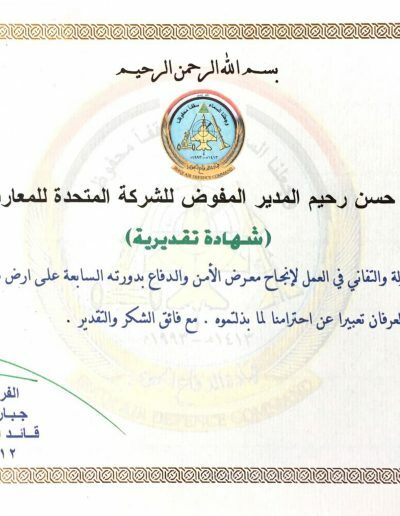 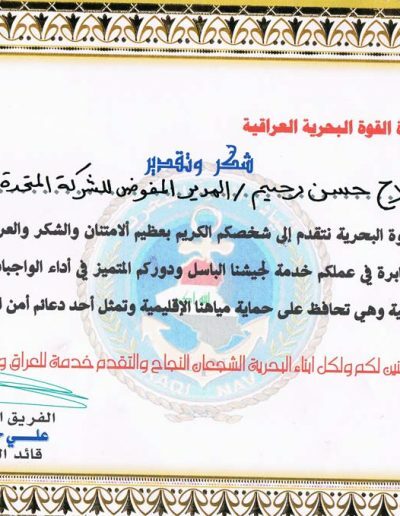 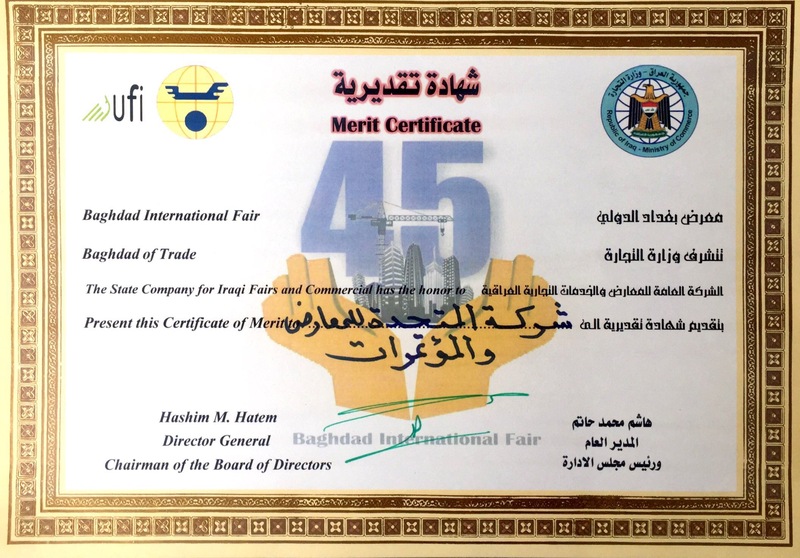 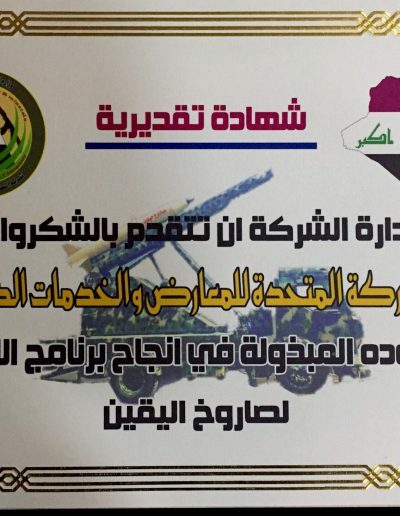 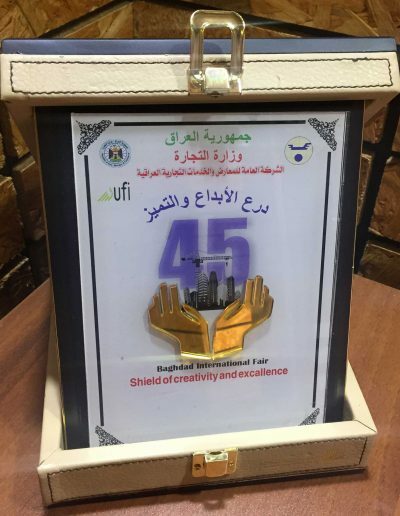 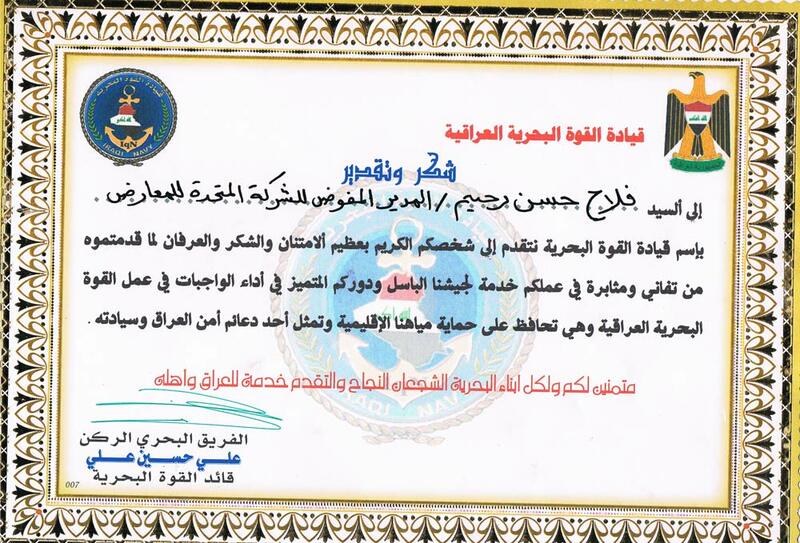 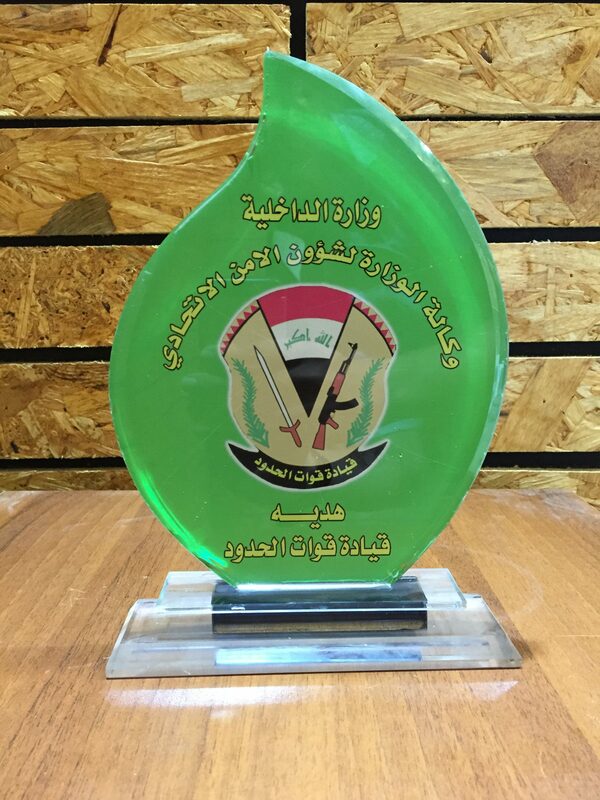 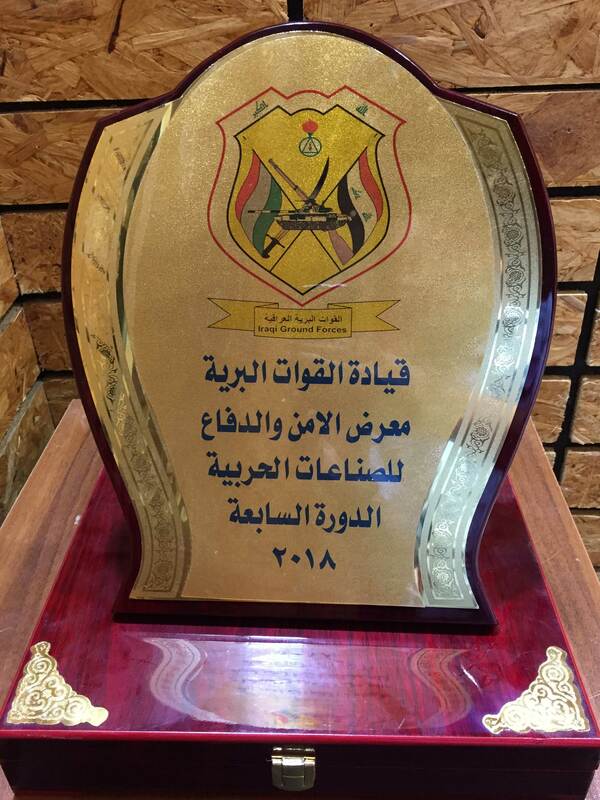 The United Company for International Fairs and Conferences has received many certificates, thanks and appreciation and gifts from various ministries, leaders and companies in appreciation of the efforts of the company and its success in organizing sessions of Iraq defense exhibition and its role in attracting the world’s firm specialized companies specialized in the field of armament, equipment and technical equipment.